There’s loads going on over here. I’m not quite keeping up with myself, as you will have noticed from the sporadic posting. I’ve mostly been in the studio in the last few weeks, slaving away at some new and exciting work, with lots of cutting out and sewing assistance from student Lucy. She’s now stuck here due to the floods as there are no trains running back to Cardiff (some 150 miles away). We’re hoping for a rescue party this afternoon with a meeting point in a village outside town. The storage box above was decorated by my previous student helper Zoe who did a great job of it (and many other things) until she was struck down by sickness and had to stay in bed for a few days before jetting off to Thailand. Is it me? Working for me is fraught with danger, apparently. 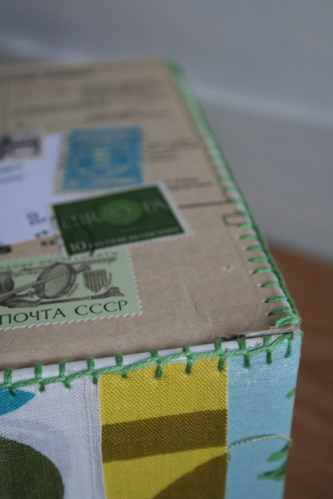 There are more pictures of the box on Flickr. I published an article in Popular Patchwork summer issue, about the course I ran at Wimbledon School of Art last summer. This came out just in time to advertise the next one, which was promptly cancelled. Oh well. Still, it’s a great three-page spread full of pictures. There is also a snippet about me in this month’s Wedding Ideas magazine, but blink and you’ll miss it. 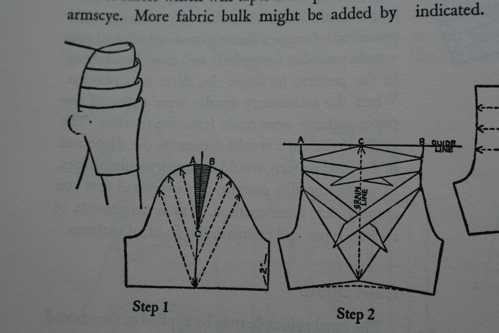 I bought myself a fantastic book – Modern Pattern Design, published 1942. It’s got some great sleeve designs which are really inspiring me. I only wish I had time to do something with them! Playing with my new rubber stamp. It’s such fun! I wanted an eco way of jazzing up carrier bags and envelopes, and was thinking of stickers. 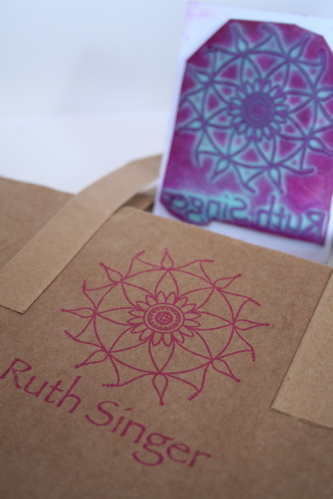 Finally the idea of a custom rubber stamp came to me, and in a matter of days I had it. I’ve used it on all my packaging and stationery and am tempted to brand everything I own. I’m resisting so far, but it may only be a matter of time. This little heap of bits is the start of something new. I often come up with ideas inspired by the materials I have. 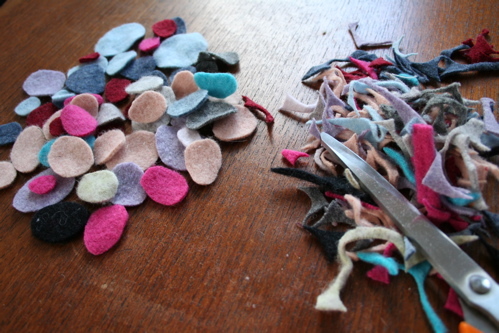 This idea stemmed entirely from the scraps of felted knitwear I had lying around. I knew there must be something I could do with the little bits, so cut them up into little pebble shapes and then started playing around. I need to get some more pictures of the next stage, along with some fabulous new variations on the Pinkerton Boa that I have been working on. Next up are more version of the Mantua Frill range. I’ve just started uploading the cuffs onto Etsy now, so they will be available for sale shortly. Wow, where did you get your copy of Modern Pattern Design? 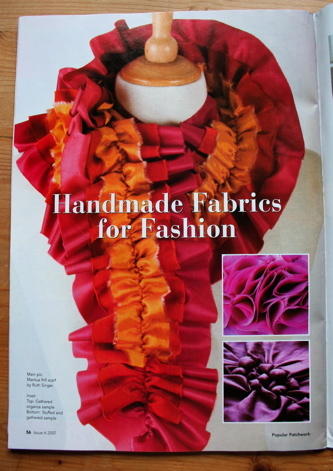 I refer frequently to the digital version on vintagesewing.info. More beautiful work. I love your stuff Ruth! !